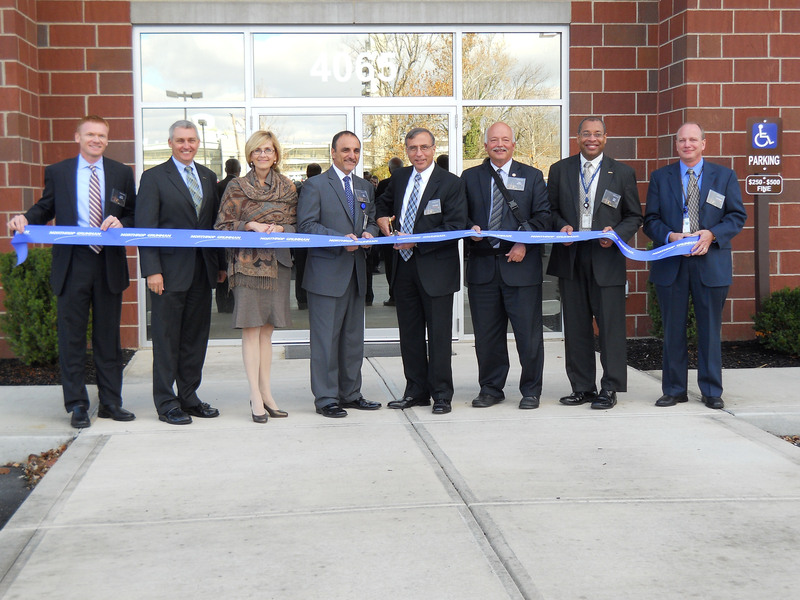 BEAVERCREEK, Ohio, Nov. 14, 2012 -- Northrop Grumman Corporation (NYSE:NOC) hosted a ribbon-cutting ceremony Nov. 13 at its new facility in Beavercreek, Ohio. The company completed the consolidation of employees from three other locations into the 99,246-square-foot facility on Oct. 23. Northrop Grumman moved nearly 350 employees into the energy-efficient building from nearby facilities in Fairborn and Kettering. The consolidation is expected to yield operational savings and greater collaboration in support of the U.S. Air Force, the company's primary customer supported by local operations. "Consolidation into a single building positions us to better support our customer at Wright-Patterson Air Force Base," said Jay Jabour, Northrop Grumman's corporate lead executive for the Dayton, Ohio, region. "This ribbon-cutting represents Northrop Grumman's commitment to the local community and to the Air Force." The Beavercreek facility is at 4065 Colonel Glenn Highway, adjacent to Wright-Patterson Air Force Base Area B. The base is home to several aircraft that Northrop Grumman has produced, including the B-2 stealth bomber and the Global Hawk unmanned aircraft system.